Talking Point: What Do You Want To See From Nintendo At E3 2018? Being Nintendo Switch's second year, this feels like /the/ year the console really starts getting some exciting software. Not just more ports (of which I expect there to be many), but exclusive third-party titles built specifically for a console with Switch's architecture. I'm really hoping to see some more vested interest from publishers such as Ubisoft, EA and Activision, and this is the time to start seeing that focus. Come on, give us a Switch-exclusive Assassin's Creed, Ubi - you've got enough studios to make it happen. I'd imagine we're going to have some new/cameo characters for Super Smash Bros. announced, and we're obviously getting Fortnite, but I'd really love to see more from Bayonetta 3 and Metroid Prime 4 beyond simple logo trailers. 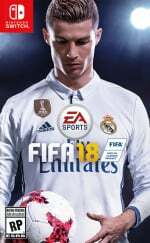 I think we could see the new Madden on Switch as it's the most obvious candidate in EA's remaining sports sims roster, and there's a chance we might get confirmation of a DOOM 2 port as well. I predict Sony will have a good E3 and Microsoft will once again stretch the definition of exclusive to breaking point, but Nintendo-wise I think a new Wave Race is on the way. Actually I’ve thought that since Wave Race 64 turned up on Wii U with the Kawasaki branding back, having been omitted from previous re-releases. It’s also been a long time since the last instalment although if I’m using that as an indicator I guess a new F-Zero is coming too. That would be brilliant, but I think that 'Star Fox: Grand Prix' game has pushed new F-Zero back a few years, even if it is said to be quite different. Outside of that I’m hoping for some decent third-party support. Something other than 'oldish game with added portability', whether that’s new multiplats or something tailored specifically for Switch. Oh, and if Nintendo could unveil the Virtual Boy Color, that’d be great. Rumors suggest it’s nowhere near a reality, but Retro Studios rounding out its own Donkey Kong Country trilogy would be my ultimate E3 announcement. Wait a minute... I lied. While that would make me one unbelievably happy human, it’s really a StarTropics reboot that could earn a smile big enough to rip my face in two. There’s just so much potential there. Sure, a top-down approach would work just fine, but I envision something more ambitious – think Zelda meets Uncharted meets EarthBound. Just the thought of a game like that has me drooling like Homer Simpson ogling a donut. I’d also like to see Professor Layton reinvented for the Switch. Keep Layton’s Mystery Journal running yearly on 3DS until it concludes a trilogy, which is about when I expect the 3DS to go quietly into the night, but bring back the venerable Professor himself on Switch, in full polygons, with a totally new presentation/gameplay approach. Keep the essence of the series intact, but have it make as much sense as possible for the current hardware. Again, potential – and lots of it. Also, Professor Layton, Mike Jones, Banjo-Kazooie, and another DKC character in Smash, please. I don’t remember being this excited for E3 since 2011, and I’ve got Nintendo to thank for that. The Switch has just totally revitalised my excitement for gaming. Sure, I’m intrigued about announcements from Sony, EA, Bethesda et all, but I’d be happy to just read a round-up to be honest. It’s the Nintendo Direct I’m screaming in anticipation for. It’s amazing how the system itself can just garner so much excitement. I’m as stoked to play remasters and re-releases on Switch as I am totally new games, because it really does offer a new way to play. So far Skyrim, DOOM, Mario Kart 8 Deluxe, Binding of Isaac, Tropical Freeze, FIFA 18, Resi Revelations 2, Rayman Legends, Rime, Rogue Trooper, Shovel Knight, and Wonder Boy have all been given totally new leases of life for me on Switch. That’s in just over a year. We’ve already got Crash Bandicoot, Wolfenstein II, Captain Toad, Monster Hunter Generations, and Dark Souls to come this year as well. And it speaks volumes that I’m super excited to play Dark Souls over again on Switch having literally just beat it on PS4 as well. That’s just how hungry I am for the new experiences that my wonderful Switch offers me even in older games. But E3 is about new announcements, and right now I’m excited about the possibilities. 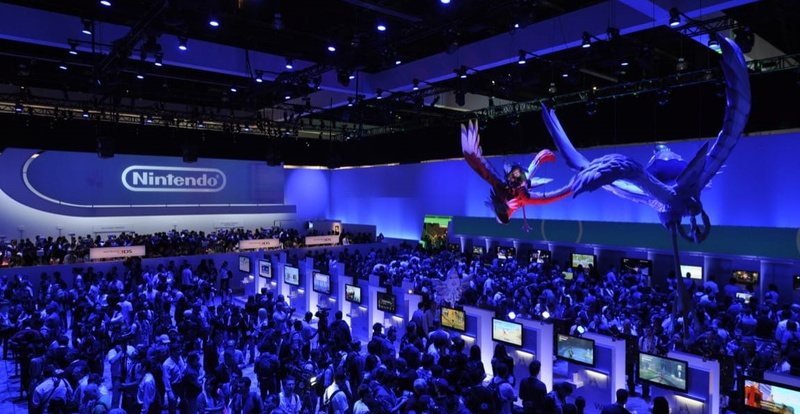 Looking at Nintendo’s line-up, I’m not particularly that stoked though – sorry guys! 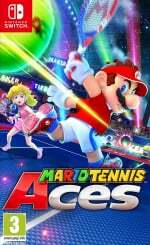 I’ll play Mario Tennis Aces and Super Smash Bros., but they’re not that big of a deal to me. I’m excited about Let’s Go for sure because I love casual Pokémon games and that looks a real winner, and I’d love to see more of Fire Emblem and Metroid Prime 4, but I don’t expect to see them this year so that excitement is somewhat stifled. It’s actually third party that I’m more excited about. I want to know what Bethesda’s planning next (PLEASE let it be one of the Fallouts, preferably 4), I’m interested in the potential changes EA might make for FIFA 19, and I really, REALLY, want a Tales game on Switch. Rumour’s Vesperia, which is awesome, but I’d also take Xillia, Symphonia, or Berseria. In fact, give me any JRPG and I’ll be happy! So basically, it’s the possibilities that excite me most of all – and particularly what third party developers are cooking up this year, which I’m pretty amazed to be saying about a Nintendo console. Tuesday just can’t come soon enough. The Nintendo Switch’s second E3 is an interesting one. 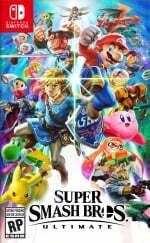 The megaton, home run, system selling games for this fall (as well and something to do with a couple of week long last person standing phenomenon) have already been very well publicised, and Metroid/Bayonetta 3 seem a way off, but it’s the perpetual rumours of Star Fox Grand Prix that have me most curious. There’s so much more potential with the IP than just a straight up racer- a Diddy Kong Racing type set up with the dog fights and set pieces we know and love from the franchise could be super cool. Other than that, a release date for Yoshi (and the long rumoured Pikmin 4) would be lovely and I’d love to see a few beloved 3DS titles reappear, like BoxBoy, Pushmo collections or even a port of Kid Icarus Uprising. On the 3rd party front, some more Bethesda and Rock Star support (OMG Red Dead or Switch-specific Bully on the go! ), The Witness and SUPERHOT. 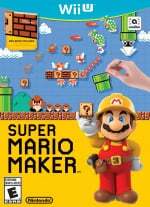 I was a big fan of Super Mario Maker on the Wii U when it was originally released in 2015. I used to spend hours crafting courses that required seemingly impossible manoeuvres in order to succeed. That’s why at this year’s E3 I would like to see this title announced for the Switch. I’m not exactly sure how compatible a game like this would be, due to the nature of Nintendo’s latest system, but surely the company could work its magic to make it happen. I don’t mind if it’s a port, and I’m also open to a direct sequel. At the very least, I just want to find out more about Super Smash Bros. Is it some kind of enhanced port of the Wii U and 3DS versions of the game, or is it a sequel of sorts? I guess that’s something we will find out next week based on Bill Trinen’s recent comments to the Hollywood Reporter. E3 is a magical time for the industry and, more importantly, for the gamers as it's a time for our collective minds to run wild with what could be coming to our favourite consoles in the near future. I always tend to watch Nintendo's E3 Direct with fairly low expectations with my faith restored in the Big N during the Treehouse segments. This year, however, I feel they need to nail the Direct with Metroid Prime 4 gameplay, a well overdue Pikmin 4 announcement, Animal Crossing (pretty please, Nintendo, don't let us down...) and some serious and concrete Online details along with a complete overhaul of the eShop that goes live at the time of the reveal. Needless to say, I'm expecting a bunch of ports such as Metroid Prime Trilogy to land this Holiday to tide us over and an out-of-this-world surprise that will have our jaws dropping to the floor - something along the lines of the Final Fantasy XII remake coming to Switch perhaps? Let a man dream. I think the thing I want to see the most is simply anything related to Metroid Prime 4. Those 30 seconds or so from last year’s conference, with the Prime music beautifully seducing everyone in until that magic number ‘4’ was displayed, somehow managed to steal the whole show for me. I find it unlikely that we’ll see anything substantial just yet, but the hype will be very real for me if we do. 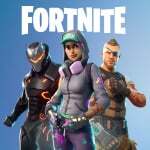 Being realistic, I’d be very surprised if we don’t see Fortnite make an appearance after all the recent hullabaloo, as well as more information on the 2018 Yoshi game and the online service launching this September. 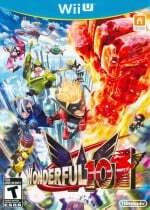 If you want some of my slightly more ‘out-there’ predictions, though, let’s say a Switch port of The Wonderful 101, something Fallout related from Bethesda, a paid-for chunk of DLC for Super Mario Odyssey with a new kingdom or two, and some kind of strange new direction for the Switch’s first Animal Crossing game. You might consider me part dreamer, part masochist but it will come to little surprise that I have been waiting since 2003 for a new proper F-Zero to be announced. Every year I go into E3 season with that “Maybe this year!” vibe only to find nothing to appease my peculiar need for speed. I always look forward to my favourite Nintendo franchises (Star Fox, Metroid, Pilotwings, Wave Race) to get some sort of nod during the presentation. I take special attention to learn whatever Monolith Soft is up to because I need still need closure for Xenoblade Chronicles X (I would fully finance a direct sequel). I hope we learn at the very least who is developing Metroid Prime 4 and if we are getting a Nintendo 64 Mini this holiday season. Truly we are living terribly exciting times for the industry as a whole and Nintendo in particular. Fire Emblem, Shin Megami Tensei, Dragon Quest XI... And some other games that aren't RPGs or SRPGs! Some gameplay footage of Metroid Prime 4 would be lovely, and maybe a glimpse of how Pokémon Switch will look would be an absolute winner. Really looking forward to Dragon Ball FighterZ, Octopath and Smash, but I expect we'll see them anyway. Putting Smash Bros. aside, I'm also interested in the Yoshi game for the Switch. I thought it looked pretty fun in the trailer. I just want to see Shin Megami Tensei V gameplay. Pretty sure we'll finally see Fire Emblem. 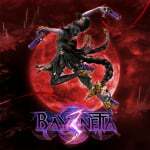 It seems that Bayo 3 and Metroid most likely started production sometime last year so highly doubtful we'll see anything. Metroid might be mentioned at some point but likely no real information, maybe some concept talk. We'll see a lot of Smash, maybe a new mode, a new character or two, new stages of course. We definitely won't see everything though like Bill said. That Star Fox thing will almost certainly be revealed. There's some potential to finally see Pikmin 4. Maybe if we're lucky there'll be a surprise, and I hope we get one, but who knows. I'm not expecting much, to be honest, since Smash Bros doesn't appeal much to me. Splatoon 2, Super Smash Bros., Pokemon Let´s Go, and for the rest.... I´ll just wait and see. Perhaps something Paper Mario related. 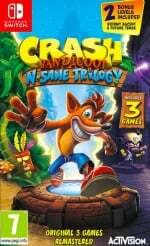 Preferably either a remake of the first 3 games or a new game like the first 2. My ultimate fantasy would be a remake of the Earthbound/Mother series in full 3D clay animation, just like the concept art that was used in the original. My penultimate fantasy would be a port of Kid Icarus Uprising, or a sequel. Animal Crossing. It has been 10 years since City Folk; 6 years since New Leaf; It's about Tortimer! I want to see proper third party support! 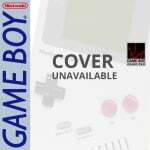 We all know that Nintendos own exclusives are always well received and always sell many copies. The third party is lacking and I want to see more of this. Come on Bethesda I believe in you. Also Blizzard give me that Diablo III. Some smaller studios are welcome as well. I want Grim Dawn of the Switch as well! No Star Fox, no Bayonetta 3, no F-Zero, no Punch Out and no Metroid. 2018 titles only, with a blisteringly huge focus on Smash Bros and Let’s Go. 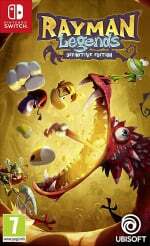 The leaked third party sheet is all you will see from said companies, and Yoshi will be the only other Switch first party title in the Direct. Go in with these expectations, and you will have a good time. @memoryman3 And not just a clone of Peach! I want a new Punch-Out!! so hard. On the Switch! 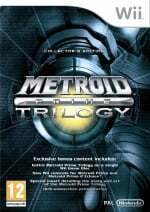 I'm hoping for some brand new games that we've not even heard rumours about, and Metroid Prime Trilogy HD (or at least a port that plays at higher resolution). I'm of the opinion that if Nintendo can have a new first party game for the last 5 months of the year, they will have had a good E3. Seeing were likely to get Yoshi, Smash, Pokemon, and Fire Emblem, we're only missing one game- probably for October. Maybe a new IP? Any Wii U ports would be a bonus. 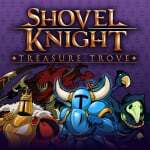 I don't think Ninty really needs that much western 3rd party support, but a slew of hot indies and unique Japanese titles will bolster what the traditional Nintendo customer is after. I Would like to see Super Mario 3D World and Mario Maker Ported and even a 'All Stars' HD Collection of all the New Super Mario series. Truth is for me Odyssey was a letdown. It was a good 'adventure' but simply didn't have enough platforming for a, yah know, PLATFORMER. I know it was fundamentally a platformer but nice long challenging sections of serious platforming felt rare - and not very varied actually. So I need much more Mario Platforming on the Switch. Odyssey was not a great 3D Platformer and I find it just doesn't draw me back like many of the supposedly inferior entries in the series. Other things I'd love: HD remaster of the Metroid Prime Series. It's gonna be weird having MP4 but no way to play the rest on Switch. Spelunky on my new favourite system would be great. They should not give up on Star Fox just cos they screwed up the last one - fix it or build a great one from scratch. Mario Galaxy 3 would be cool. Zelda HD Trilogy with SS. 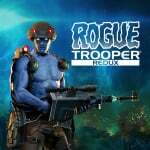 I'd love to see a new Rogue Leader game too. Animal Crossing but with an option to turn off real world time - so I can come back more casually like I do with Stardew Valley. That pressure to play everyday or close too is too strong a drug for me on AC - and I'm sure I'm not on my own. Mario Golf, a Pilotwings and finally - something Castlevania! Bayonetta 3 and a port of Kid Icarus Uprising/sequel announcement would be great. KI:U was such a great game that deserves a second chance on the switch. It did sell over 1M globally I believe. @ZeldaNX Dk64 HD sequel - man that would be good. And I feel this could be what Retro have been working on: A proper new 3D entry into DK Platforming. 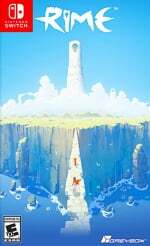 Collectaton or more traditional platforming structure - I don't care. I'd just love Retro Studios to take on taking 3D platformers to a new height. I'm hoping for a little trailer for 2019 Pokemon. JUST GIVE ME ANIMAL CROSSING!!! ...But apart from that I'd like to see some gameplay of Bayonetta 3 and SMT V, even if it's just a teaser trailer instead of Treehouse. I'd like too see some FE, hopefully we get a release date for Yoshi as well. Some surprises would be great too! True, there is so much potential with the quality retro could bring to that series. Let’s hope this becomes a reality! I agree with Glen the most. Not much from the 1st party lineup excites me bar Fire Emblem (which I think is still coming this year). I'm most looking forward to what 3rd parties bring; I too will take any JRPG or any narrative-driven game, really. Going beyond realistic expectations, I'd love to see Atlus announce a portable P5 on Switch, and Square Enix to bring FFXII or FFXV to the system. I don't think there'll be many Switch surprises given what's already leaked but if there are any I'd love to see more Wii U ports and Hyrule Warriors Definitive Edition DLC. 1. No longer to be forced playing everyday or Villagers will Move Out without notification. 3. Shorter dialogues. Make it brief. 4. Full 3D Open World with World customization & A lot of different biomes (Forest, Desert, Oasis, Tropical, etc). No longer Flat Landscape like previous games. 5. Option to place your house / any Animals as your desire. Complete with House customize from HHD. 6. Part time Working like from Dillon's Dead Heat Breakers (SuperMarket, Scrapyard, Virtual Reality) with more variety of Part time jobs. 7. Enable to Open our Flea Maket at specific places (We can sell strightly unwanted items to wandering villagers) or own our Shop to sell specific items & can hire some Animals / Miis to be a shopkeepers. 8. Enable to read QR Code from Right Joy Con to unlock Custom design. 10. More than 1 Save Slot (Up to 5), so we can make more different Universes. As well as the obvious stuff (Pokemon: Let's Go, Super Smash Bros., etc) I'd love to see some footage of the new 2019 Pokemon and Metroid Prime games. And I would an announcement of a proper new F-Zero and/or Advance Wars game. Also, some Pikmin, Animal Crossing, Punch-Out!! and stuff like that would be nice too. Lastly, I REALLY wanna see the English version of Mother 3 FINALLY. Also put it on BOTH 3DS and Switch--because why not! It would be nice for Nintendo to be mentioned in third party conferences more than recent years. I still maintain that over the last 12 years (omg!) 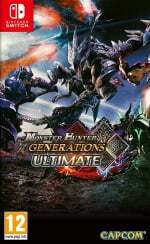 Nintendo gamers have missed out on some really amazing game franchises that would find an ideal home on the Switch in the form of HD remasters. So I predict we will see more remasters. Companies like Konami, Namco, Midway and Capcom are sitting on gold mines with their arcade / console history so hope we see more companies grabbing the VC bull by the horns and releasing content themselves. As well as everything else. 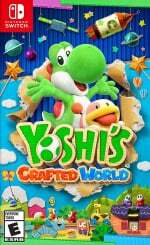 Would love to see more gameplay of yoshi and maybe release date. Me no want an AssAss in Creed for Switch. I just want to be surprised now. @Anti-Matter Wow - you've thought this though quite a lot eh! Need more reasons to buy a Switch than our currently available: Super Mario Odyessey and Golf Story. As one of 28 people who actually bought and still owns a WiiU, I have all the other big titles on Switch as they are ports. Stop announcing ports Nintendo. Give us new games. Oh, and new 3DS games, as that is still my main system right now. Pikmin, metroid, new Zelda, Luigi's mansion, something new. I am not gonna bother predicting. But I will say what I hope for but don't really expect is an announcement of Animal Crossing Switch, and new Advance Wars title. Animal Crossing. For the love of god, ANIMAL CROSSING!!!! @GrailUK it certainly would! Those and a new Advance Wars would make me a pretty happy gamer. Probably would never happen, but I'd love an announcement of a Switch version of pocket football club. "I'll keep dreaming about Endless Ocean 3." How about Go Vacation 2 for Switch ? Scuba Diving in HD and other activities. @geordie Yes! I really liked that game. I was number 1 in Europe for a little while when it first came out. Not enough people played it. 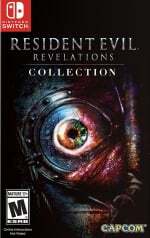 I want to see 12 new Definitive Editions of titles I've previously purchased for my Wii U.
I'll be happy with any AAA-release, be it a new game or a remaster. A new Metroid game would be gorgeous and also I'm hyped for Bayonetta. Also I want to see new stuff from Bethesda (Fallout 4, Rage and/or Dishonored) and Ubisoft (Assassin's Creed for Switch would be awesome - and I believe there's a chance that they'd do an exclusive game). Something completely new or a revival of some long lost IP. Not too interested in Smash nor Pokemon. I hope they're releasing another big 1st party game this year. 2D Zelda would be a nice surprise. Mainline Fire Emblem would also be nice. I also hope we get major ARMS update like a new character, paid or free. Then I wish we get XCX, W101, SM3DW and TMS#FE ports and maybe Zelda WW and TP. Oh, OoT and MM HD while you're at it. DB FighterZ is welcome. But I want a new Prince of Persia from Ubisoft, 2D or 3D. anything thats new and not a Wii U port that i've already own. 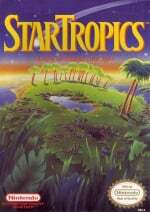 I concur with the StarTropics reboot. I also want to see Metroid Prime 4 footage and the announcement of a Switch OS update to add some sorely missing features. The sheer number pf people wanting stuff like Metroid bothers me. I dont know how many times Nintendo needs to slap you with the words 2018 only but come on. Animal Crossing would be amazing ♡ Other than that I am hype about more info on Metroid Prime 4 and Smash Bros!! I'll be happy if we get Yoshi and FE confirmed, plus the strongly rumoured stuff like Fortnite. 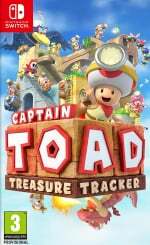 Throw in the other well sourced tips like Ridge 8, Spyro, NSMBU DX and maybe even GTA V and Switch will have a blockbuster year. Personally I'd love to finally see Pikmin 4, a Metroid Prime Trilogy remaster to wet the whistle for Prime 4 and this rumoured Starfox GP game but it's not about me and it's good to manage expectations at this stage. "Sega! Put bloody Monkeyball 1 and 2 on the Switch (it would be perfect!)" 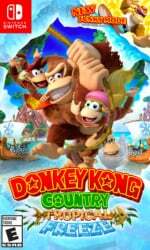 I've had this long held fantasy that sega and Nintendo put their heads together and make a HD Monkey Ball best of, but with Donkey Kong and co in the balls. Seems such an obvious IP crossover. @electrolite77 That would be amazing! Get's my vote lol. As much as I love the single player game, the Switch would be just spot on for all the party stuff too! 1. Metroid Prime 4 gameplay. 3. Paper Mario: Thousand Year Door release on Switch. @Knuckles-Fajita I'll be very surprised if they don't give us even a glimpse of Metroid. Just because they said the focus will be on this year's titles doesn't mean they won't tease stuff for next year as they've done so in the past. Anyway as it stands ,MP4 could still be a 2018 title.Reggie said it was and the Norwegian Nintendo site said it was. I don't think it will be but there's no evidence to suggest it won't be either. 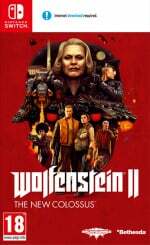 @OorWullie They repeatedly say "2019 or later titles will be shown at a later date". Last year they the primary focus was on 2017 titles. Notice the difference? There is nothing outside of 2018, at least in the Direct. Animal Crossing with a huge village is with Pokémon all I need for my Switch. Other than the obvious things we know like Smash, Fortnite and Paladins, I’d like to see Animal Crossing. Absolutely puzzling that it isn’t out already. If I were Nintendo I’d get it out soon, cause that thing is a quiet beast in terms of sales. I have a few other odds and ends I’d like to see too. Pikmin 4 is one of them. I just think the joy cons would work perfectly for it, and if it’s technically possible, could even support co-op. 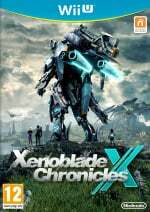 And also, just throwing it out there, but when are we ever going to get an HD remake of Xenonlade Chronicles?? That game is just begging for some HD magic. Look, I don't care what they announce. I'm not going to ask for anything so I can be surprised when they announce all the cool stuff. Smash is satisfying enough. My only request is an ARMS character in Smash. That's it. Realistically, I’m hoping for a new entry in the Gyromite series, but my longshot wish is for Nintendo to work with RCMADIAX on a physical WiiU collection for Switch. Apart from more on Pokémon Let's go, Yoshi, Metroid Prime 4 and Smash, I hope for more info on Switch online, mostly past the NES games and other value points. I want to see an N64 mini. I hope we get a DK 3D platformer and I am pretty sure the Star fox racing game will be a sure thing, it sounds great. DLC for Super Mario Odyssey and Animal Crossing teased for next year along with the main Pokémon title. I'm sure there will be the usual odd surprise for which I am looking forward to. I could see a Zelda title for 3DS or a retro style Switch title. I'm hoping that Star Fox GP is as real as the Star Fox × Metroid crossover rumor that was buzzing around in 2012 (What is it with Retro Studios and these Star Fox rumors?). If Nintendo makes another racing game for the Switch, and it isn't a new F-ZERO game, or at least a remake/port of F-ZERO GX, I'll be extremely disappointed. I know Nintendo doesn't owe F-ZERO fans a new game, but they didn't owe Metroid or Star Fox fans a new game either, but they still threw them a bone eventually. F-ZERO fans have waited long enough. I would kill for a new Punch Out! Other than that, GTA V, Fallout 3/4, Fortnite, Metroid Prime Trilogy/4, the announcement of GameCube selects (just because there is not going to be a Virtual Console doesn’t mean that it can’t happen. Nintendo can do whatever it wants), Etc. Going in with minimal expectations. I don't really care about Smash so already this year's is set up to be 'meh' for me. Also not too interested in Pokemon so the inevitable Let's Go coverage will also be 'meh', although I'm a little more excited to see more on those since it's ditching all the modern crap and going back to the roots. Outside of all that, just hoping for a Hyper Light Drifter spotlight and release date, Dark Souls release date, and World Ends With You new trailer and release date. I think those are fair expectations. Hoping to see Fire Emblem too and get some i fo about Nintendo Switch Online. Insane (won't happen) expectations: FF12 Zodiac Age port, FF15 port, FF7 remake confirmation, FF6 remake announcement, Tomb Raider port....plus more. Though I suspect outside of the ones we know I'll no doubt be disappointed. I must be the only Nintendo fan with zero interest in Pokemon, Animal Crossing (and sims in general, except the original sim city) and Smash Bros.
Give me a Hollow Knight insta-drop and everything else will be icing on a wonderful cake. That's what I'd like to see . @Dr_Corndog Regarding StarTropics, thumbs up right back at ya, Samus! Completely unrealistic, but if Monolith unveils anything, and I mean absolutely anything (could be a port or a collection) I would lose my mind. If we got an HD remaster of XC1 and/or XCX I would be fine until they were ready to show off whatever is next. Xenosaga or Xenogears remastered would be nice too, however unlikely it is. Gimme Smash and more Smash. 1. Open with a "Metroid Prime 4" trailer, but turns out to be character reveal for Ridley. Hype train off to a great start. 2. Go into some of the things we saw on that leak including Paladins, Fortnite, and Dragon Ball Fighter Z, etc. 3. Pokemon president comes into view, goes over some things we know and don't know about Let's Go. Goes on a little too long, and we all start getting a little antsy. 4. Finally Smash Bros time. Big premiere trailer reveal with actual gameplay. Sakurai on the big screen talking about how his arms are falling off. Name announced as Super Smash Bros: Heroes vs. Villains. Meant to be the ultimate version of smash, featuring a roster for the first time with two halves, heroes on one side and villains on the other. K. Rool and Dixie Kong revealed for new playable characters. About 15 minutes spent here. Release date September 28. 5. Some more third party support and indie games featured next. Classic lightning round style. 6. Time for some Yoshi! About a 5 minute highlight reel of the upcoming game for December 2018. 7. Reveal that Animal Crossing is in the works for an early 2019 release. 8. Wow, how is this still going on? Craziness, but still have about 15 minutes left and now Miyamoto is on screen. Yes, it is finally time for Pikmin 4. Quick gameplay trailer. 9. Only a few minutes left--time for one last character reveal before we head to the treehouse. Yep, it's two veterans returning to Smash: Snake and Ice Climbers. A little underwhelming for some, but most people will be super excited by this. Both are announced to be playable at the Invitational and the Demo. Never going to happen, but remember Custom Robo? If that got a new title, I could die happy. @MoonKnight7 - In hindsight, I regret it. I’m standing firmly by my Gyromite prediction though. New entry in one of Nintendo's rhythm game series, preferably either Osu/EBA or Daigasso/Jam With the Band but Rhythm Heaven/Paradise is fine as well. I don't expect them to announce one at E3 but I can hope. I think they'll announce one in a normal Direct before next year's E3. I’m going in with minimal expectations. I really just care about Smash and Splatoon. 12. And above all else: ELITE BEAT AGENTS 2! +1 for Super Monkey Ball 1 and 2 HD remasters. Perfect console for these old classics. Same with any Nintendo Direct, no expectations from me. (ONE CAN DREAM) But IF Overwatch got annouced, I will eat kimchi to honor my waifu. I’d like to see a procontroller+ with mic/headset plug, metroid/bayonetta release date(even if it’s 2019) and footage. 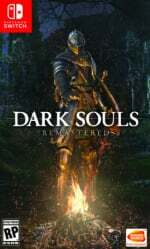 Dark souls release date. A few Wii/u ports like mario galaxy and star fox. Mainly I just can’t wait for Tuesday. We might be getting some awesome games released onto switch as a complete surprise...fortnite maybe. Animal Crossing is all I need. 1) I think it would be huge if we got a chance to see some big name games in some capacity. Even if it’s just a trailer and release date. That would be awesome to know when Metroid Prime 4 or Yoshi are exactly coming. I’ve got certain franchises I would love to see or announced. But even ones that I don’t necessarily have a care for I think would go a long way in showing Nintendo means business. 2) Some bold moves. Whether it’s taking existing franchises into new directions or introducing new ones. 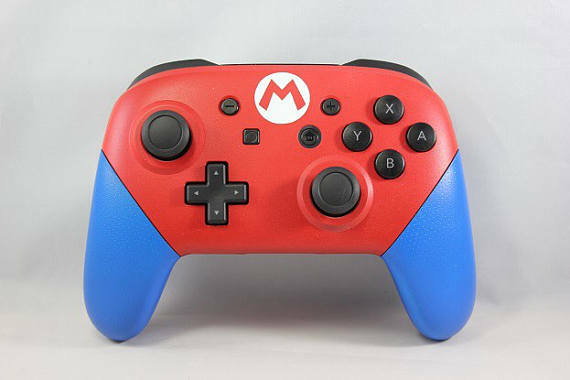 The Switch is such a unique and bold thing. It needs more software to match its boldness. The rumored Star Fox racer sounds like that would fit the mold. Imagine if Nintendo blindsided everyone and made 2019 the year of resurrecting forgotten franchises. Will pikmin 4 even get mentioned? Will pikmin 4 get mentioned? I'm mostly looking forward to Animal Crossing and Smash Bros. for Switch, and Death Stranding for PS4. Everything else would be a bonus! I'd be pretty happy if Pikmin 4 was finally resurrected. I'm warming up to the idea of "Star Fox GP". More Mario as DLC expansion would be cool. I hope to see Bethesda's Starfield and CD Project Red's (what a weird name for a company) Cyberpunk 2077, as well as whatever From Software's next game is gonna be. @electrolite77 You missed Wario Land as WarioWare seems to have killed Wario Land. @Dom Where are all the other Livestreams? EA, Bethesda, Ubisoft. They are relevant to Nintendo gamers these days lol. If they show off / give me any of those, my heart will be so happy. A metric ton of Smash Bros information. For the Star Fox Gran Prix to be fake and is actually a new Star Fox game. Animal Crossing information, again hoping they do more with the game. Nintendo talking about having a practical online service and not that dookie they currently have planned. Zelda - WW and TP HD, for €25 each. Wave Race - A new one but with all old tracks. A decent city builder/sim like Cities Skylines or Banished. A new shooter IP, something along the lines of Turok. I've always judged E3 based on how many extra games are on my wish list compared to before it. My issue with Nintendo in the last few years has been basing their E3 on showing new footage of a game we've seen before. Metroid Prime IV last year was great. 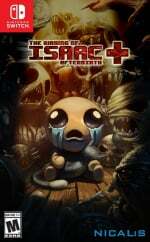 I didn't care there was nothing to see, that was a HUGE game coming to the Switch. I went out and bought a Wii U the week after they announced Splatoon. If the highlight of their E3 is showcasing Smash for Switch... yeah, not exciting at all for me. Super Smash Bros. Metroid Prime 4 & Fire Emblem. I want some awesome surprises too! I still hope for Golden Sun 4 every year. I don't get much time to follow Nintendo as I did, so my hopes might be wildly optimistic. So, I'll get what I don't want out of the way to start with - Donkey Kong. Great games, of course. But you can have too much of a good thing and I'm seriously fatigued with DK now. It's time for a peek at Metroid, even if it's not a 2018 game. Last year we got a name, this year we need at least a target render of something. Animal Crossing needs a new game, even if I'm not a huge fan. It's the sort of game I buy digitally, so I don't have to put the cart/disc in to just have 5 minutes on when I want to play. Mario Maker for Switch would be nice. We all have dreams of what we want to see, but all too often, that is not necessarily reflected by reality. Nintendo has a habit of crushing those dreams. Sometimes they deliver, sometimes not. They will probably talk about what is most likely or known to be arriving within this year and early next year, tease a few things that are further out, and that will be it for the most part. Not likely to be any big surprises this year, except for maybe some oddball thing out of left field. They might also showcase something disappointing, like Amiibo Festival, Federation Force, et al. Next year will probably be more exciting, what with bigger titles like the next real Pokemon generation being showcased. Lots of people here are mentioning Animal Crossing, but all Nintendo has indicated on the matter so far is a new AC-related trademark, which encompasses a potential variety of devices and titles, including more spin-offs. So I wouldn't expect the next full AC entry until next year. I'm on the lookout for SMT V myself, but I don't expect anything concrete until next year. @GrailUK EA was lolbad, no surprise. 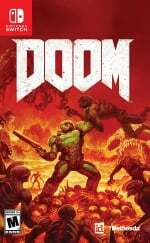 Hopefully Bethesda follows up on their past successes and brings more to Switch, as well as Ubisoft. Maybe a Mario + Rabbids Kingdom followup? I just want to be surprised by something. I want to see a new IP or unannounced/unrumored game be shown off. I want to see more of the Yoshi game, hopefully the Star Fox racer (if it even exists), F-Zero, Pikmin 4, Metroid Prime 4, Spyro Trilogy (it just has to come to Switch). Would also really love to see another 3D Donkey Kong game but I doubt that will happen and hopefully a few surprises nobody has thought of. Oh yeah. Wasn't there some rumour of a new one? just good games from first party, third party, indies and retro. Obviously, I'm looking forward to Super Smash Bros. and Metroid Prime 4. Part of me hopes that that Star Fox: Grand Prix rumor is true. I also really want Krystal from Star Fox to be playable in Smash and SF:GP (assuming the latter is real). I know I'm one of the very few here that would even mention it...Nintendo Labo kits and new uses. Battlefront 2 and Planet coaster on Nintendo switch. I'd like to see Super Smash Kart. Instead of Mario Kart with just characters from the Mario universe, Super Smash Kart would have all of the Nintendo and third party characters from Smash Bros racing each other and battling it out with character specific items and weapons instead of the standard Mario Kart set. ..... and a new Kid Icarus game. @GrailUK The amount of hours I wasted in Monkey Billiards and Monkey Bowling....me and my friends would do marathon sessions on those. Great party games and one of my favourite purchases on the Gamecube. A totally new, full scale 2D Zelda on Switch. New art-style, awesome graphics and music, cool new items and mechanics. Something really sweet! Animal crossing, Metroid side scroller, and Mario Maker. Oh I’d like to see some other media services too like Netflix, a web browser and social media. As I am not a huge Smash fan (currently hiding under the table to avoid things being thrown at my head for making such a statement ) what I am really looking forward to is getting information, gameplay and release dates for Fire Emblem and Yoshi, and seeing more gameplay from the Let’s Go games. Aside from that, it would be absolutely fantastic if they announced a new Animal Crossing for Switch coming out in the next 12 months (since it’s been 5 years since New Leaf released in the UK, and this is currently the longest we have gone between main-line AC games without an announcement EVER!). I’d also love to see a new Luigi’s Mansion, since the first two games are some of my all-time favourites, an HD remaster of Skyward Sword, or ports of Wind Waker and Twilight Princess on Switch. Or maybe even a Kingdom Hearts 3 announcement for Switch (though that’s the most unlikely thing in the list, since the main numbered entries in the series are massive and probably a smidge out of our favourite hybrid console’s technical capabilities). To be honest, I’ll still be a very happy gamer with just Pokemon, FE and Yoshi, but any of the other things listed above would make this the best E3 in a loooong time for me. Bring it on, Nintendo! 11) A sequel to Mario & Rabbids: Kingdom Battle, perhaps expanding into other Nintendo IPs like Zelda, Metroid, etc. I expect more labo announcements. And maybe a 30 second Prime 4 teaser to close it out. I'd like to see Metroid 4 and an F-zero racing game. 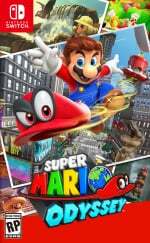 -Super Mario Odyssey DLC with new outfits and Kingdoms. -New Super Mario Bros. Switch. -Smash Bros. Switch gameplay and fighter reveals. 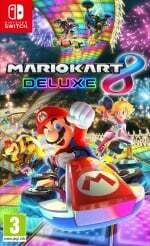 -Mario Kart Tour gameplay trailer and details. -More details on the Donkey Kong DLC for M+R:KB (may also be at Ubisoft's E3 presentation). -Fire Emblem Switch gameplay trailer and details. 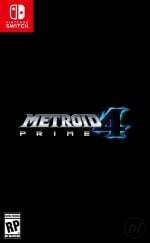 -Metroid Prime 4 gameplay and details. -Octopath Traveler stuff (this segment will go on for 15 minutes tops). There's much more I'm expecting, but I reached the character limit. Have a great E3, everyone! see you at the broadcast! I hope people realize that Nintendo will save announcements for Nintendo Directs throughout the year, rather than announcing everything during or around E3 like most other companies. Those expecting almost every relevant Nintendo IP to show up at their E3 Direct are setting themselves up for disappointment. If I may be honest; If they announced a new Animal Crossing Game and an enhanced port/sequel to Super Mario Maker, I will walk away very happy. I want to see more fun and innovative games and accessories. The direction taken with LABO is exactly what Nintendo is about and should be pursuing. Of course, keep dedicated gamers happy with 3rd party titles, but non traditional gamers is where Nintendo will grow the platform beyond a niche. I'd like to see a Switch Fit with balance board, another edition of 1, 2 Switch, a Switch version of Punch Out!, Switch Sports and other fun games that can be played as a family or group of friends. I don't expect any of these to come at E3 since we haven't heard any rumours but nobody expected LABO either. I'll watch the Nintendo Direct and have my finger on the fast forward button as soon as they start wasting time talking about 3DS.